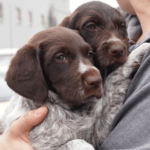 Tribute Giving provides a meaningful way to reach out to family and friends while providing support for NorCal GSP Rescue’s dogs. When your Tribute Gift is received, we will send a card or email to the person you designate, in your name. The amount of the gift is not mentioned. Memorial gifts allow you to celebrate the memory of those special individuals in your life. It’s a way to honor those who cared so deeply about animals during their lives. 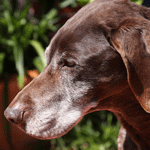 You can also commemorate the life of a beloved companion animal. Honor gifts are available to commemorate birthdays, anniversaries, adoption days, or any special occasions. They celebrate the important people and animals in our lives. Use the comment field inside PayPal to send us relevant information about your tribute gift, or contact us. If you would like to set up a special tribute fund for a memorial or wedding or other occasion, please contact us and we will be happy to work with you to meet your needs. In memory of Savanna, donated by MMM. In remembrance of Leah, donated by Mike McCoy. Donated by Laurence R with thanks for all that Sally W does. From Louise, in memory of her loving sister Thelma. In loving memory of Eddie, my WWW. Love MMM. In memory of “Remarkable Remy,” from his secret admirer. In honor of Barbara Gale, whose commitment to the animals is truly inspiring. Donated by Megan Conn. In memory of Tui, donated by Maggie and Laurie S.
In memory of Buckley and Midge, donated by Pets Eternal Rest. In memory of my friends Eddie, Sadie, Case, Annie (aka Vera), Rock (aka Jed), Dottie, Cyrus, Max, Rosie, Lassen, Addie, Lorelei, Courtney, Rogue, & James Von Miller. Love Suzie. In memory of Katy & Rob’s dog Kit, donated by the Offices of Ned Fussell & Dennis Hunter. Donated by Patty Linder in memory of Miles (formerly Andretti). In loving memory of Eddie on his birthday, donated by MMM. In honor of Sara Alexander’s birthday! Donated by Tracy Landauer. In Memory of my lovely BayLee. Donated by Sherry Miller. In memory of sweet BayLee with kindest thoughts and support to Sherry Miller. Donated by Cheryl McMillan. 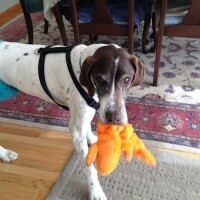 In honor of Hank and the people that adopted him, from Sarah McAuliff. In Memory of our Duke. We miss our soul pup everyday. Donated by Leigh and Paul. In honor of my darling niece Julie Lupkin. Donated by Aunt Beverly. In honor of the Bermudez family – Merry Christmas! Donated by Miguel Solis. In honor of Julie Lupkin and her service to many fur babies! Donated by Aunt Sandy. 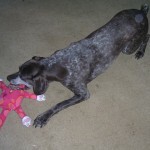 Donated by Suzie GSP in memory of Corkie (fka Courtney). 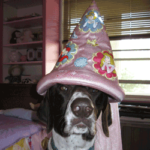 In memory of our babies that have crossed over the rainbow bridge – donated by Kristi Dude. Donated by Dave Epstein in memory of Gemma. Donated by Suzie GSP in memory of Lorelei. In memory of Arnie, I pray you found a better life. Donated by Patricia Stuart. 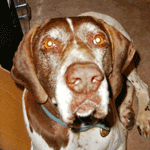 In memory of James Von Miller, from Suzie GSP. In memory of Jay on behalf of the Rojas pack, donated by Tonya Walter. In memory of Jay, donated by Joanne Ladolcetta. In Memory of our beloved GSP Jay, donated by Chrissy and Paul Rojas. In loving memory of Jay, from his son, Kimo. In memory of Samson Disco Kalapuya, donated by Kimmy Carter. In honor of Carol and Michael Graham and their GSPs — with gratitude Alphie, Albert, Julie, & Natalie. 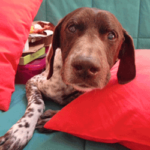 Donated in loving memory of Woody, who was loved unconditionally by Bill, Brian & Annie. You will always hold a special place in our hearts. Love, Aaron, Michele & Kuma. Donated in memory of Izzy, for Matt and Camille, by Jennifer Price. 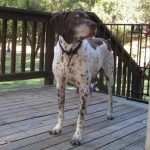 This is in memory of Rocko our GSP we adopted from Lake Tahoe in 2003. He was in a kill shelter and had been found wandering the desert. I drove down from Vancouver, BC and he lived a long and happy like hiking and chasing squirrels. He was the light of our lives. Donated by Barbara C.
Catherine T, Rory and Skye want to honor Porsche their French Bulldog friend who passed to Rainbow Bridge April 2017. Thank you Wendy Hilton for all you do and have done to help dogs! Donated by Margaret Daul. In memory of Rocco and in tribute to his wonderful foster family Charlotte and Al. Donated by Cheryl Warner. In memory of Clark. My Granddog was such a great dog and I will miss him and Lois! Much love. Donated by Karla Morris. Donated by Rebecca Heller in memory of Clark. Donated in memory of Clark. We’ll miss Clark – Greg and Christy. In memory of Clark, donated by Scott McIntyre. 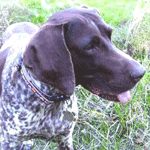 Donated by Suzie GSP, in memory of Clark. Donated in memory of Dan Cordle, from Carolita Carr. For Sally Webb, in memory of Dottie, donated by Chris Kafitz. In memory of Clark who was loved by Cheryl Warner and Chris Whitney, donated by Janie Schryer. Donated in honor of the Bermudez family – Merry Christmas! by Miguel Solis. In loving memory of Eddie, donated by MMM. Donated in honor of Julie Lupkin with love for the dogs, from Aunt Beverly. In memory of “Callie” and “Aly,” to honor them and let their memory live on by helping a GSP in need. Donated by Pets Eternal Rest. Donated in honor of Julie Lupkin for the holidays, from Aunt Sandy. Donated in honor of Buckley, adopted into the family 4/30/16 by Corinne Hayhurst. Donated by Vivian Lock in honor of the marriage of Jennifer Anthony and Srini Neel Karamadai. In memory of Dakota & Roscoe Pico Train, donated by Scott & Amber Cornelius. 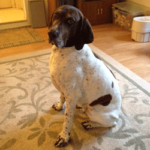 Donated in memory of Bosley (formerly known as Boy Scout), from Bill & Sylvia Hamilton. In memory of Lois, donated by Alice Martineau, to be used wherever it is needed most to help the dogs. Many, many thanks to Sally Webb. She not only house-sat with my Bauschan for the week I was in hospital, but took care of the house (she does not do windows, though!!!). She is truly a great friend and I don’t know what I would have done without her. Her own GSP, Dada, kept all three good company, too. Thank you again, Sally. Donated by Chris Kafitz in honor of Sally. 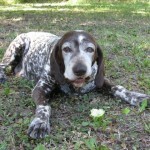 In memory of “Abby,” to honor her and let her memory live on by helping a GSP in need. Donated by Pets Eternal Rest. 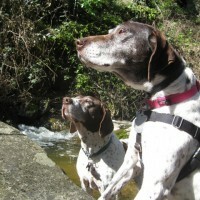 With love and gratitude to NorCal GSP Rescue & foster mom, Dalia Wood, our donation to help other GSPs. From Albert Fu and Julie Tokunaga. In memoriam – Lily Storer. Donated by Van and Darcy. For Christine Graham, in memory of Riley, donated by Dominic DeGuilio. In memory of Koa (rescue name Tristan), donated by Jeanette Murphy. In memory of Eddie on his birthday, and Annie (aka Vera). Donated by GSP Suzie. A generous donation has been made by Cheryl Warner, in memory of Minnie and in honor of her foster home Sue and Robert. 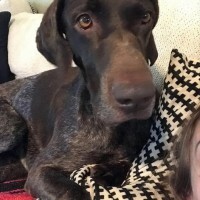 In memory of Otto, GSP. Donated by Marty Mackowski. In loving memory of our Otis. We lost you way too soon sweet boy. You’ve left footprints on our hearts. Donated by Danielle & Rob Vogt. 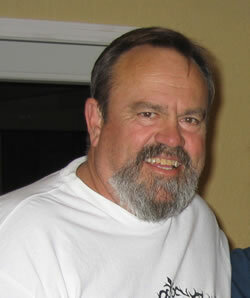 A donation has been made in memory in loving memory of AJ Nilsson, by Joe Cortez. In memory of Jim, donated by Carolita Carr. In memory of the sweetest girl I’ve ever known – Penny. Donated by Don Spicer. In loving memory of Mo. Donated by Giovanna Schenini and Karen Hallstein. Remembering Lucy, most loved companion to Nancy and Lisa. Donated by Stephanie Dabney. 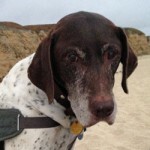 Donated in honor of our GSP who we lost a week ago at the age of 15+. His name was Romeo and he was amazing. Agnes and Scott McKinlay. In honor of Robert Chinn this holiday season from Bryant and Jeanette. 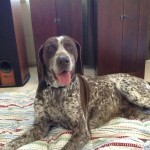 This donation is made in gratitude to Dalia Wood for keeping our GSP Alphie happy and safe while we are out of town. Albert F & Julie T.
In Memory of Fred and our wonderful shorthairs Buddy, Spot, and in honor of my current shorthair Coco and my foster pups Missy, Cassy and Brady! Donated by Kim Gillilan. With love in the name of my dear niece Julie Lupkin. Donated by Aunt Beverly. 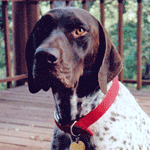 In loving memory of Shotgun: Michele’s rambunctious and faithful companion and best friend to a GSP. Fondly, Lauren & Richard. Congratulations Sally! You took extra special care to help Vixen become the wonderful dog she has become in the past year. And now found the forever home she deserves. You are truly a really really great foster mother. Kudos to you. Donated by Chris Kafitz. In honor of Renuka Kumar, Craig Blok, Alana Blok, and Patch. Donated by Ninh Chung. In honor of Julie Lupkin and her continued love and care for our devoted furry friends. Donated by Aunt Sandy. In honor of Doug & Janelle Schneider and the dogs they have loved and cared for. Donated by Sally Webb. 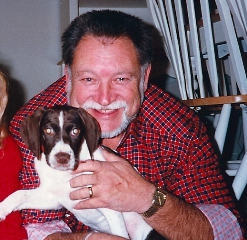 In loving memory of Faye E. Kline, a true animal lover, from California Family. In memory of Sharon Osthimer. 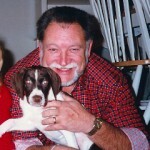 In memory of Fred Gillilan and our two shorthairs Buddy and Spot. Donated by Kim Gillilan. In honor of her “birthday,” GSP Skye (aka the princess) has sent a generous present to help the oldies at NorCal GSP Rescue. She’d like it use to help a senior in need – medical expenses, etc. Donated by her human mom Catherine. In memory of our beloved Achilles, who died last Wednesday at age 10. He brought such joy to us for 8.5 years and we were heartened (though not surprised) at the outpouring of support and condolences from all of our friends and family who knew him. Donated by the Kho Family. In honor of Eddy Francisco and his family to thank them for being wonderful to Dottie – she is one lucky girl to share their affection. Donated by Sally Webb. In honor of Cheryl Warner’s birthday, donated by her brother Jeff. In memory of the Mother: she looked after the pets in her neighborhood and periodically filled her station wagon with food for the animal shelter. Donated by Charlotte. In memory of Phoebe Brashear. OTF celebrity, beach runner, mountain climber, yogurt eater, Queen Phoebe showed all how to enjoy every minute of life. Donated by Coby & Jeff Richter. Donated in honor of “Cowboy” by Pets Eternal Rest – may his memory live on by helping to care for a German Shorthaired Pointer in need. In memory of Tia and in honor of her dog mom Vicki. Her time was too short with Vicki and family, but it’s wonderful that she knew so much love for that final year. 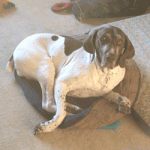 From Cheryl and the NorCal GSP Rescue team. In memory of Chance and in honor of his dog mom Janie. May this donation give another needy dog a chance at the wonderful life he had. From Cheryl and the NorCal GSP Rescue team. Thank you Carol and Derek Potter who adopted sweet Sadie and she has the best home ever! 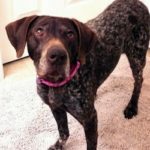 In loving memory of my GSP Lulu (who you all called Shorty), who passed away last week. From Alan Green. In honor of Cooper fka Benny’s birthday! From Rebecca and friends. An anonymous donor would like to thank the volunteers for all their hard work! 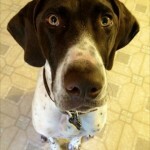 Thank you to NorCal GSP & the Nast family for helping find a forever home for Emily! In memory of Rhett, to help the oldies. From Catherine Tumilty and Skye. In honor of Claire and Art for all the things they do for dogs in need. From Cheryl Warner. From Craig Carlson, in honor of Bandit and Zinga! Donated by Denise Salles in honor of all the dogs that are now golden memories. In honor of Dalia Wood, from Albert Fu and Julie Tokunaga. Donated in memory of Belle Van Popering by Tina Tuma, on the one year anniversary of her passing. For Julie Lupkin from Aunt Beverly. In honor of Julie Lupkin’s continued support of dog rescue from Aunt Sandy. Donated in memory of Belle Van Popering by B Van Popering. In memory of Otis from Hank the Lab. In memory of Stella Laplaca, by Rosemary Acciari. In memory of Stella Laplaca, by Carolyn Stanek. Donated by Janet Pacher in memory of Bowdie Terry who was adopted by Jeralyn Terry DVM and passed away in early November 2014. 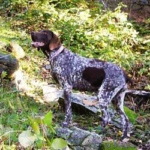 Donated in honor of our GSP Jake and thank you all for helping this amazing breed of dogs. From the Cleary Family. 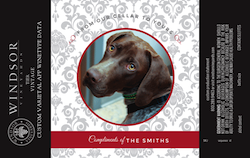 Donated in honor of “Rocky” by Pets Eternal Rest – may his memory live on by helping to care for a German Shorthaired Pointer in need. Generously donated by Jeralyn, in Honor of Bowdie – in 4 years he taught me more than any other animal; both in medicine in how to care for senior pets, and in life. He was happy every single day, and made the most of every moment despite losing vision, hearing and mobility. He never had a bad day. He loved everyone, every animal (whether it was a cat, dog or squirrel), and every vegetable he ever met. I’m so thankful he was in my life. A generous anonymous donation has been made in honor of an adopter! Happy Birthday, Paula! In honor and memory of Sawyer. Donated by Kim, Tawny, Lisa, Denise, Barbara, and Ray. 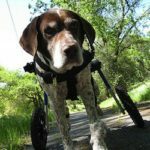 Generously donated by Caitlin and Steve, in memory of Moose, to help other older GSPs get the care they need. Donated by Jen C who would like to remind everyone to 1) contact a rescue or shelter first 2) never ever ever buy a pet from a pet store, or off of Craigslist 3) if you do buy from a breeder, make sure it’s a reputable breeder that places each dog with a contract and return policy. Generously donated by Chris Kafitz in honor of Mark Hardwicke: A big thank you to Mark Hardwicke of Better Homes/Mason McDuffie Real Estate in Berkeley! He sold one home and found the dream house for two of my friends. He worked very hard and made everyone happy. In memory of Odin & Spirit, my best furry friends. They romp together now on the forever trail. Odin passed away 10 years ago and came back as Spirit shortly after. We spent great years together and I think of both lovingly. A special thank you to Barb Gale, who found the “reincarnation” of both for me. It seemed he had been waiting for me, too. He is now my best new friend and quite happy on the trail. Welcome home Bauschan! Generously donated by Chris Kafitz. Donated in fond memory of Belle from Jeff and Coby. In memory of Eddie on his birthday. In memory of Annie (aka Vera) on her one year memorial. In honor of Dalia Wood, from Alphie. Donated in loving memory of Rosie, by Nancy S.
For Lisa McKibbin, in memory of Sammy, donated by Wendy Kato. In honor of GSP Kimo and his people Robert and Sarah, donated by Elizabeth C.
In memory of Belle Van Popering, donated by Jolly and Lucky McDaniel. In memory of Belle Van Popering, donated by Tina Tuma. In memory of Mackey, generously donated by Brad Beals. In honor of Gina, Genice, Kent, Tina & Amy – donated by Christina S.
In honor of Cheryl Warner and all she does for GSPs. In honor of Jim and Diane Coward, and their dog Bandit. Donated by Craig Carlson. In loving memory of Franz, donated by Barbara Schulke. In memory of our sweet Sawyer boy. Generously donated by Ray and Paula Mays. In honor of Barney, donated by Anna and Davis White. Thank you, Linda Lipscomb, donated by Chris Kafitz. In honor of Julie Lupkin, donated by Aunt Beverly. In honor of Bo and Missy, donated by Karen Lubash. 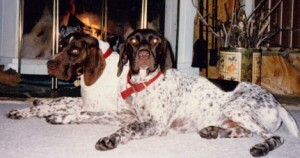 Donated in honor of my Dad who loved GSPs and his pointers Bo and Missy. Keep up the good work! Nannette W.
Generously donated in memory of Moose, from Cait, Steve, and Uly. Donated in memory of Luke and in honor of his foster homes Dalia, and Eddy & Lisa, by Feb S.
Donated in memory of Luke, and in honor of Eddy & Lisa, by Cheryl Warner. Donated in honor of Lisa McKibbin for Christmas, by Nancy Bostdorff. Donated in memory of Cider and Journey. I lost two of my girls in a short time. Both were wonderful friends. Cider you were always so close to me I hardly have any pictures. Kelly Verd. In honor of Renuka Kumar, donated by SVB Asset Management. 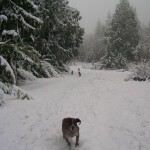 In memory of Cider, sweet mama of Max and our hiking buddy, donated by Lisa and Nancy. In memory of Emma, Sally Webb’s great companion for about 12 years and loved by all. Sally has loved and owned other GSPs, and also fostered Sophie for many months. But Emma has been, and always will be, very special to her and all of us. Donated by Chris and Spirit. 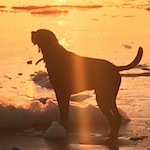 In memory of the courageous Daisy Mae – the consummate critter chaser. The pool sweep can finally work in peace. In memory of Daisy Mae, from the volunteers of NCBR. 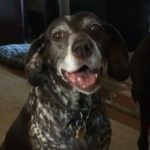 In memory of Daisy Mae, sweetest GSP ever. Donated by Nyki DiVecchio. In honor of Robin Farley, for helping GSP Salty find a great home. Donated by Friends Of Colusa County Animal Shelter. In memory of “Sandy,” beloved “Golden” of Gabriela, Gene and Sophie, and little Valentine too. 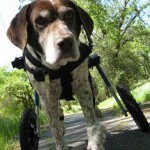 She had many four- and two-legged friends on “The Trail” for 15 years. 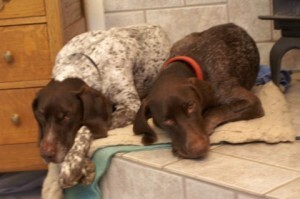 We all miss her, especially my GSP “Spirit” who inherited her very luxurious king-sized doggie bed. He thanks her very much. Donated by Chris Kafitz. 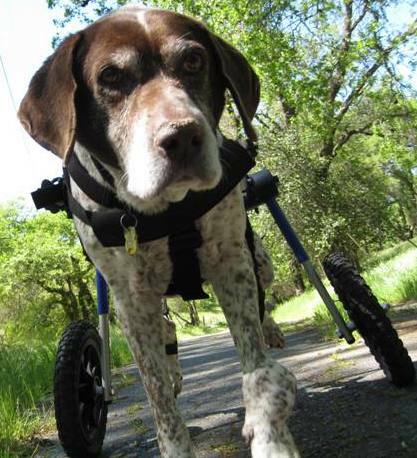 In memory of KC and Karen Heald’s GSP Daisy, donated by a NorCal Boxer Rescue volunteer. In memory of Frida Kahlo, generously donated by Wendy Jacobson. In memory of Alva E. McAlexander, donated by Golden Gate Transit. In memory of Alva E. McAlexander (Mac), donated by Nancy and Bill Davidson. In honor of the memory of Mr. Alva E. (Mac) McAlexander. Donated by Dal Poggetto & Company. Donated by Chris Kafitz, in honor of Gary Ball, Rhino Rooter, plumber extraordinaire and proud owner of two wonderful GSPs. Thank you for all your help. Donated on behalf of GSP pup Emma Fleming, who excels at bringing joy. In memory of Friday Kahlo, donated by Deanna Parsi. In memory of Sadie, donated by David Hale and Michael Hackett. Thank you, Jill Posener of PAW FUND in Berkeley. Two little GSP/GWP pups were surrendered to her and she appreciates the support of NorCal GSP Rescue in placing them into great homes. Donated in honor of two groups working together collaboratively for the good of the dogs! By Chris Kafitz and Spirit. In memory of Ziggy. Her time was far too short, but we’ll always remember that sweet, spunky girl! Generously donated by Cheryl Warner. 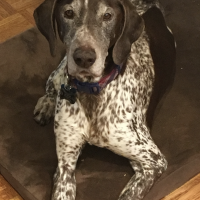 This is a memorial tribute for “Shadow,” the beloved GSP of my dear friend, Leslie, who rescued and loved him for 14 years. He was a very special boy. Donated by Gerrie Schwartz. In fond memory of HAPPY, much beloved companion who is so missed by Kai and Yu Hsieh, neighbors and friends. Happy was truly a happy dog for 13 years until cancer and complications took her away from us. We think of her all the time. Donated by Chris Kafitz and Spirit. 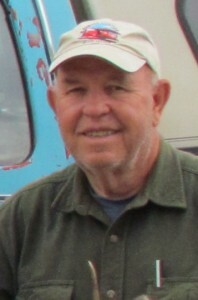 In memory of Roy Marcum – Sacramento County Animal Control Office, killed in the line of duty, serving the animals of his community. Donated by Julie Lupkin. In memory of foster dog Olive, generously donated by Karen Heald. 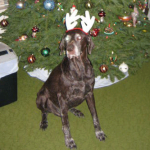 In memory of Jessie this holiday season, from Aunt Wendy and GSP Frida Kahlo. In memory of “Darla” who went to Rainbow Bridge on December 17, 2012. Generously donated by Donna Sprouse. Donated in memory of Eddie and Sadie. Merry Christmas in honor of Julie Lupkin, from Aunt Beverly. Thanks for all you do. Merry Christmas in honor of Myron and Nancy Rude! Donated by the Murray family. Merry Christmas in honor of Richard and Lorraine Henninger! Donated by the Murray family. Merry Christmas in honor of Max, Maggie, and Chip Murray, who want to help other GSPs who are waiting for their new loving families to find them! Donated by the Murray family. HAPPY THANKSGIVING! A thank you to all who help, rescue, and find homes for GSPs. Chris Kafitz and Spirit. Donated by Front Porch Realty Group, in memory of Sofi and in honor of Janet and Alec and Luce our GWP who misses Sofi still. Thank you Eliana! You were and still are so helpful to me after I fractured my shoulder and could not do much for myself. It is so appreciated, my dear friend. Many many thanks. Donated by Chris Kafitz and Spirit. In memory of golden “Grady.” He was much loved by his friends along “the trail” and in Kensington, especially by Gail and John, who gave him a very good caring and loving life and to whom he was so devoted. We all miss him very much. Donated by Chris Kafitz and Spirit. 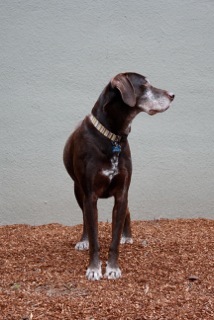 In loving memory of Jessie, donated by Wendy Jacobson and the fabulous GSP Frida Kahlo. In loving memory of Gracie, generously donated by Karen H and KC. This is to Barb Gale who does more for GSPs than anyone I know and just lost her beloved “Jessie.” Generously donated by Chris Kafitz. In memory of Odin, generously donated by Sandy Amundson. In memory of Peyton, for Tim and Erin Olsen, donated by Jaclyn Humphrey. In loving memory of our beloved shortypie Peyton, who passed away on May 12,2012. You were the light of our lives and are deeply missed. Donated by Tim and Erin Olsen. In memory of Eddie on his birthday. Suzie and Sadie 5/4/12. In loving memory of Bolt, donated by Samuel A. Cole, Jr., for Barbara and Allan Bauer. In memory of Michael J. Lubash – donated by Nannette Wilkinson. Happy Birthday, Michelle! Donated by Jennifer Blythe in honor of Michelle Heathman’s birthday. Donated by Karen Longoria in loving memory of GSP Sage. In Loving Memory of my mom, Belva Mellor. Paula M.
In memory of Spot and Radar, donated by Marie Paoletti. Donated by Lesley Lamb Mapstone in honor of Charlotte and Al Johnson. Donated by Karla Morris – In honor of my daughter Cheryl Warner who loves her dogs so much and helps so many other dogs. Donated in honor of Richard & Lorraine H – Merry Christmas, Love from the Murray Family. Donated in honor of Myron & Nancy R – Merry Christmas, Love from the Murray Family. Donated by the Murray family in honor of Max & Maggie – Merry Christmas to the best dogs we’ve ever had! In memory of Eddie Kiji, my Whole Wide World. Donated by Dalia Wood to celebrate Izzy’s and Hooper’s adoptions. Donated by Barbara Gale in memory of Bacchus, a good friend to our Jessie. Generously donated by Ray Mays in honor of Paula’s birthday. Donated by Barbara Gale in honor of the marriage of Rachael Kleidon and Bryant Etheridge. Donated by Barbara Gale in honor of Jessie’s 15th Birthday. 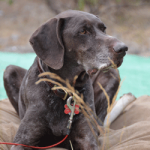 “To the NorCal German Shorthaired Pointer Rescue Team, we would like to acknowledge the work of Mr. Ron Zander and other volunteers.” Generously donated by Jill Grunewald and Ken Culp. Donated by Tom Dwyer, in honor of Gypsie and her foster mom Katherine. Donated by Chris Kafitz in memory of “Fritz” very much loved and now so missed by Mary and Pete Hurd. There will always be “cookies” for him in my pocket. Donated in memory of Trooper, by Chuck and Pat Siffing. Donated by Holly Easterby in memory of Dakota and Kaylee. Donated by Marie Paoletti in memory of Spot. Generously donated by Doug Tilden in appreciation of Michelle Heathman’s dedication. In honor of C. Richardson (and Walter, Herman & Luther) whose photographs and story-telling make me smile every day. Donated by Jennifer Scrivner. Donated by Morena Timm in honor of Barbara Gale’s birthday. Donated by Dennis Holden for Buggy and Julie in memory of Buggy’s birthday. Donated by Barbara Gale in honor of Jessie’s 14th birthday. In memory of Eddie on his birthday. From Suzie and Sadie. Donated by Cathy Olson in honor of Kate’s 10th birthday. “We miss Gracie so much and love her dearly.” Generously donated by Karen and KC. Generously donated by Gordon and Eleanor to help their fellow GSPs. Donated by Morena & Michael Timm in honor of Barbara Gale’s birthday! Donated by Eddie in memory of Grandma on her 49th day Memorial. Donated by Ralph Pietrobono in memory of Moe. Donated by Barbara in memory of Michele’s father. On behalf of our Otis’ 3rd birthday, donated by Rob and Danielle Vogt. In memory of “Sofi” Levy-O’Brien, donated by Janet and Stephanie. Donated in honor of Zoey Merrill. The GSPs are sending you some doggie karma for your little test in July. From Peter, Cathy and Kate. In memory of Morgan most beloved and cared for Wirehair by Kim & Ken Krause and his constant companion at work after his buddy Casey, a Shorthair died a while ago. They are both missed so much. Donated by Chris Kafitz. Donated in honor of Phil’s birthday by Jen Mo. “Eddie Dog”, Happy 15th birthday! From Suzie and Sadie. Donated by Barbara Gale in honor of Jessie’s 13th birthday. For Julie in memory of Buggy donated by Beverly Kelty. Donated by Natalie and Jim James in memory of Nick, and in honor of Dr. Schenck on behalf of his good works – a wonderful vet and remarkable man. Nick von Excee was such a presence throughout his 12 1/2 years – he loved to hunt and swim, but he mostly and absolutely loved Natalie and Jim. They have made this generous donation to honor the generous heart that their best boy shared with them for too short a time. In tribute of Barb’s mom, donated by Pat and Mike Cook. In loving memory of Charley, our Char-Char. He knew from the minute we met that he was home, it just took us a little while longer to figure it out. We miss you still Big Dog. Donated by Karen Hansen in honor of Mable. Generously donated by Jim Coward in honor of Roger and in memory of Jinx. Donated by Donna Sprouse in memory of Honey and Naylor. From Michelle Ravn and Simon in memory of Tucker. In memory of Barb’s mom, donated by Cathy Olson. In memory of Edith Gale, donated by Wendy Hilton. In memory of my beloved “Boone” donated by Catherine Hodges. Donated by Maggie Segale, in memory of Shauni, 1991-2006. 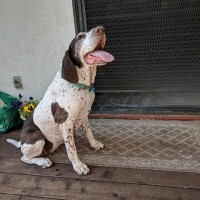 To NorCal GSP Rescue in honor of Barbara Gale’s birthday. Happy Belated Birthday Barb! Donated by Morena Timm. In honor of birthday of Barbara Gale, donated by Gene Jacobson. In memory of Tux (was Rex). The most handsome boy in Miley’s litter left us way too early. Thanks to GSP Rescue he was loved and adored from day one to day 379. Loved and missed by Stephen and Robyn Drivon. Peter, Cathy, Kate and Hot Spot Olson. Thank you for saving Frida Kahlo, the princess of perfection. Great work all! Donated by Wendy Jacobson. 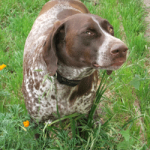 In memory of Donna Sprouse’s GSP Honey, donated by Valley Agility Sports Team. Donated by Michael and Debbie Bruce, in honor of Ada Ormsby and Gloria Clemons. Sandy is a very special and wonderful dog! In loving memory of Ron Sprouse and Naylor, donated by Donna Sprouse’s dearest friends Mary Van Wormer, Carlene Chandler and John Nunes. Both Ron and Naylor are missed by their family and friends. Donated by Barbara Gale in honor of Jessie’s 12th birthday. 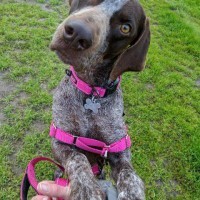 Suzie wants to thank the volunteers at NorCal GSP Rescue for saving her life and for finding good homes for her babies. To honor Barbara Gale and to express my deep gratitude for all the help she has given me, donated by Gene Jacobson. In honor of Barbara and Tom Cooney, donated by Jim and Diane Coward (and Cody and Tanner). In honor of dogs that are in foster homes this holiday season, donated by Michele Jonsson. In honor of our past, present and future foster families! Generously donated by Bryn Thenell. On behalf of Cathy Olson, donated by Polly McBride. In honor of Cathy Olson, donated by See Ping Lim and Rene Cervantes. In honor of Donna White, donated by Charles and Susan Nelson. In honor of Myles (Talissa and Kurt), donated by Kathryn Ralph, PhD. In honor of Julie Lupkin, donated by Sandra Battista. For “Tommy” from Ayne & Merci. In honor of Betty Sears, donated by James Tipper, Sr. In honor of Karen Heald and her partner K.C. 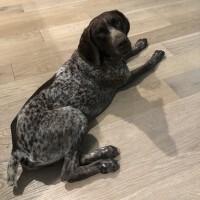 who so generously and competently fostered GSP ‘Spring’ until she “came home” to me … & her “big brother GSP (also a rescue babe) Booji – Thank you from Boo, Spring/Sparks & Doreen. Donation in honor of the birthdays of Wendy Jacobson and Barbara Gale, sent with love from Gene Jacobson. Jim passed on Oct. 11, 2014, after a short but valiant battle with leukemia. 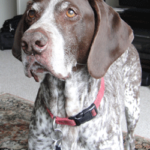 His great joy in retirement was raising two wonderful GSPs, Elizabeth and Molly. He trained them for hunting, but also he treated them as members of the family. When he became ill, his only regret was that he would not be able to care for them to the end of their lives. His dogs will be cared for, but since others may not be so fortunate, his family has requested donations in Jim’s name to NorCal GSP Rescue. In addition to being a handsome boy, Austin is also a matchmaker. Claire adopted him from NorCal GSP in August of 2010. On his very first public outing, he charmed his way into Sarah’s heart and it wasn’t long at all before Claire followed suit. Not only did Austin find his forever home, Claire and Sarah did too. On the occasion of their wedding Claire and Sarah invite you to give a donation in their honor. Your gift will help other GSPs like Austin find loving homes. Mike always had a soft spot for animals, especially GSPs. Here he is with Missy Bo as a puppy. Now she is 14 and still going strong. I’m sure it has to do with the fact that she was his baby and that she thinks she is more human than dog. They went for walks everyday, out to the gun club and there wasn’t a table scrap she didn’t get at least a nibble of. Mike passed away peacefully at home November 7, 2010. His family misses him dearly but takes comfort in the fact that he lived a good life and told us so all the time as well as how much he loved us. This memorial fund is a fitting tribute to Mike and his generous spirit. Donated by Christa Ognissanti, in honor of Mike Lubash. Lesley and Brian recently adopted two rescued German Shorthaired Pointers from our group, giving forever homes to Rocket and Triton. Their hearts hold more than just love for each other. There is room for dog love!To spread that love even further, they invite you to share their joy by donating in honor of their wedding. 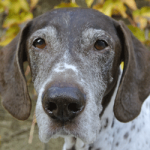 Your meaningful gift will help other German Shorthaired Pointers find loving homes!Thank you to the following donors who have generously given to this fund! 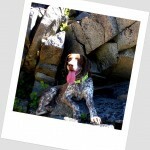 Fred was a long-time lover of GSPs, and along with his wife Kim fostered for our rescue group. He fought a very hard battle against his brain tumor (glioblastoma multiforme) and finally succumbed to the effects of the treatment. In a fitting tribute to Fred, Kim has established The Fred Gillilan Memorial Fund to provide veterinary care for needy rescued GSPs. In loving memory of my dear husband. I love you and miss you so very much. In the name of Fred Gillilan, donated by Brian and Sandra Arvin. Donated in memory of Fred Gillilan by Rick & Malia Burrows. Pismo will be empty without him. Donated by Mike and Ranell Stephens in memory of Fred Gillilan. Donated in memory of “O.” December 1993 – August 2008. We really miss you. Your best bud, Ed. In memory of Fred. Monica and Joseph Rock. 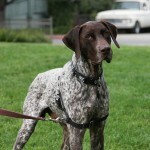 Cheryl and Chris adopted their first GSP from NorCal GSP Rescue, Clark, in 2008. For anyone who has met Clark, they know that very few more perfect dogs exist. Once they saw how wonderful GSPs could be, there was no turning back. They added Lois to the mix a year later and also foster when they can. Cheryl volunteers actively for the rescue, witnessing firsthand what a difference the organization makes for this breed. She loves every second of it. Thank you to the following donors who have generously given to this fund!